A woman the Alberta SPCA says hoarded more than 200 dogs on an acreage in Milk River has a past conviction for animal neglect, a court document shows. A woman accused by the Society for the Prevention of Cruelty to Animals of hoarding 201 dogs on an acreage near Milk River, Alta., has a past conviction for animal neglect in Saskatchewan, a court document shows. April Dawn Irving, 55, voluntarily surrendered 60 dogs in December. The surrender meant the SPCA could move immediately to have those 60 dogs adopted. After failing to convince Irving to change the conditions her remaining dogs were living in, the SPCA said it returned to the property on Jan. 13 and seized 141 dogs.Two of the dogs died, but the rest are expected to fully recover. Officials said the dogs were emaciated, dirty with matted fur, dehydrated and suffering from various medical and behavioural ailments. Some had broken bones or open wounds infested with parasites, and many still require medical attention. Removing the animals took six hours and required a court-ordered search warrant to access the property, according to the SPCA. Many of the animals have been placed in foster homes or shelters across Alberta. CBC News has learned that Irving has since filed a lawsuit against the animal protection agency to have the dogs seized on Jan. 13 returned to her. The lawsuit, filed in the Court of Queen's Bench in Lethbridge on Jan. 20, claims the dogs were unlawfully removed from her property and seeks unspecified damages resulting from the seizure. "I have always fully co-operated, even in the utmost of heartache," Irving says in her statement of claim. Irving told CBC News that she considers the dogs her family and she is distressed that they have been taken. "You know you are supposed to be innocent until you are proven guilty," she said. The SPCA said on Wednesday that the seizures were the largest removal of dogs in Alberta's history. No charges have yet been laid, but SPCA officials say they plan to do so soon. 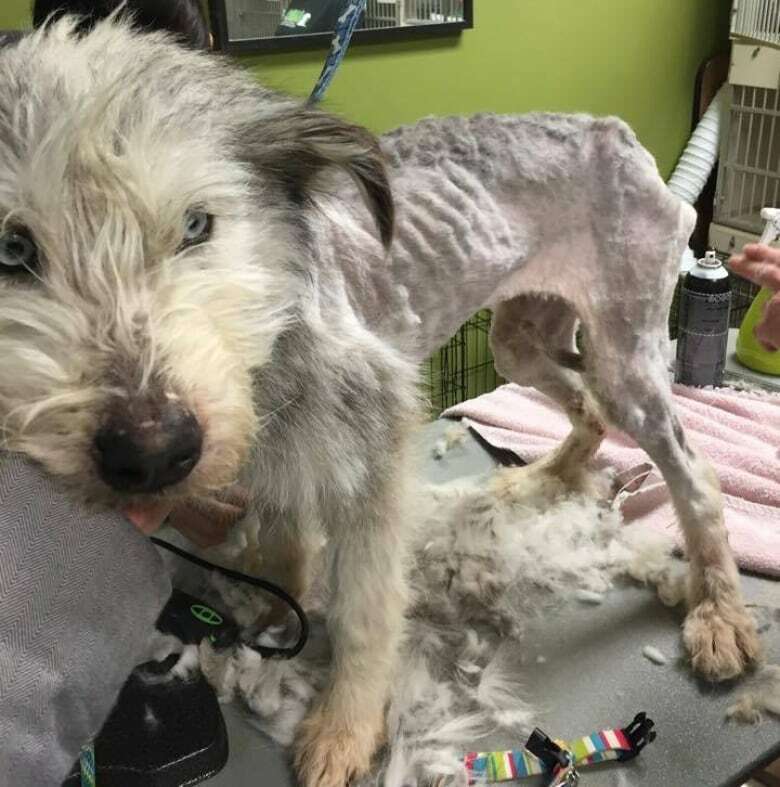 A local animal shelter, the Alberta Animal Rescue Crews Society (AARCS), said the animals were living in horrendous conditions and it's one of the worst cases of animal neglect the agency has seen. "In my opinion no one in their right mind can deal with this many animals and that mental health would need to be taken into consideration," said AARCS executive director Deanna Thompson. Irving was found guilty and charged $5,000 in 2013 of one charge under Saskatchewan's Animal Protection Act after she was accused of operating a puppy mill. She is expected to try to appeal the conviction in a Regina courtroom on April 15. The judge in the case dismissed two criminal charges against Irving, finding that she was not wilfully negligent in the care of her dogs. A court document also reveals that Irving was accused of mistreating animals in 2007. She faced four charges under Alberta's Animal Protection Act related to dogs she kept in Fort McMurray. The charges included causing or permitting an animal to be in distress, obstruction of justice and possession of stolen property related to a dog. All charges were withdrawn on Feb. 13, 2008, but a number of dogs were seized from Irving in 2007. According to Irving's statement of claim, the dogs were returned to her after being held by the SPCA for seven months. She claims her residence has been inspected multiple times in the last few years by the Alberta SPCA and there have been no requirements issued or animals seized. The Alberta SPCA, which is not connected to SPCA organizations in other provinces, enforces the Animal Protection Act in the province — although investigations in Calgary and Edmonton are carried out by local humane societies. Penalties under the Animal Protection Act — including lifetime bans for owning animals or the maximum fine of $20,000 — are only recognized inside Alberta. However, an SPCA spokesperson said a judge can take into account convictions in other provinces when handing down their decision. "Many people have concerns about animal abuse in Alberta — through the entire country," Alberta's Solicitor General Jonathan Denis told CBC News when questioned about the Irving case. His office said he has spoken with his provincial counterparts about strengthening animal cruelty laws. "I think one instance of cruelty to animals is one too many. Albertans have told me loud and clear that it's not something that they will tolerate, [or] that they want to see in this particular province," he said. "Realistically, I want to be proactive. I don't want to be reactionary and in this particular case I will leave it up to the particular authorities." 201 dogs rescued from acreage near Milk River, Alta.